Their Very Own Bible Timeline! Name-That-Event Relays: Jot down some events or names that are on the timeline. Have students line up in two teams. Name an event or name and have the first two players in line run to the timeline and be the first to point to it. After they finish, they return to back of line and two new players get a turn. Team with most points wins. Which-Era Relays: Jot down some events and names on the timeline out of order. Have teams order them chronologically to win, using the timeline. Bible Times Math Wars: Name two events on the timeline and have students figure out how many years lie between them. Keep pencils and papers ready! 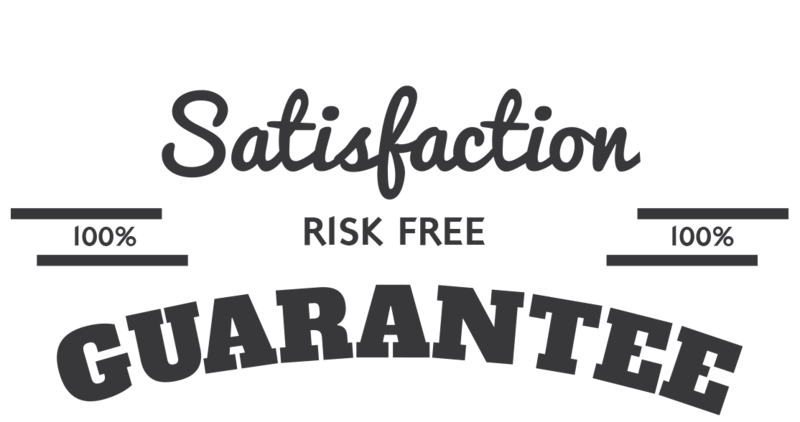 As soon as your order is securely processed, we’ll direct you to a download area, where you can get instant access to the printable timeline files. Print out as many of the printable timelines as you need (year after year!). In addition to the Printable Bible Timeline, you will be given this month's KidMin Power Pack as our bonus gift! The Timeline & Power Pack are 100% downloadable, so you get instant access to the materials as soon as your order is securely processed. Get started by clicking the Add to Cart button below. The price today is just $4.99 for the Bible Timeline & the KidMin Power Pack. 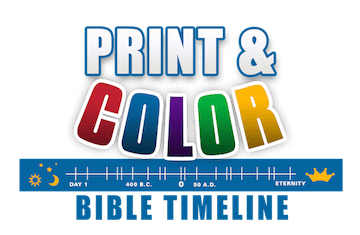 We are so sure that you will love the Print & Color Bible Timeline that we are offering an unconditional 100% money-back guarantee. YES, I want in! 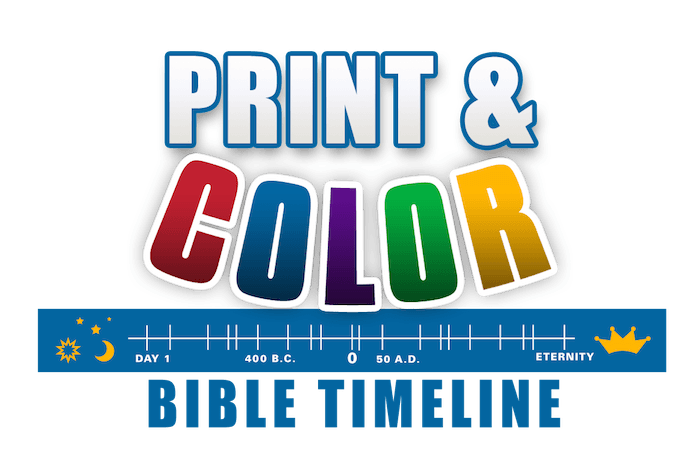 I want access to the Print & Color Bible Timeline that I can use over and over again. Please give me INSTANT access right now! Includes Kidmin Power Pack as our Bonus Gift. 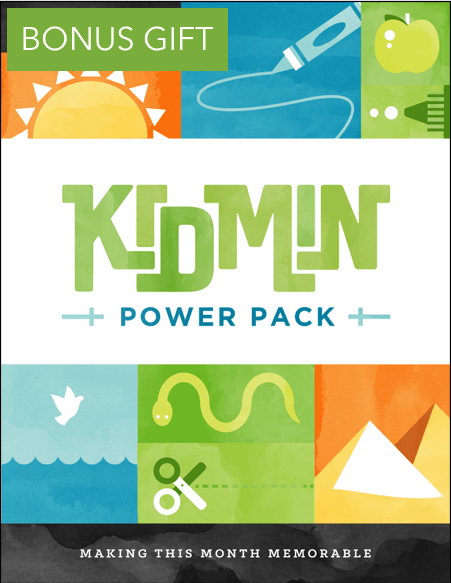 If you enjoy the KidMin Power Pack & wish to receive future editions, you will be billed 9.99/month. If the KidMin Power Pack is not for you, you can cancel your subscription at ANY time.